March 15, 2011 -- There is so much hypocrisy and so much confused analysis about what is going on in Libya that one hardly knows where to begin. The most neglected aspect of the situation is the deep division in the world left. Several left Latin American states, and most notably Venezuela, are fulsome in their support of Colonel Gaddafi. But the spokespersons of the world left in the Middle East, Asia, Africa, Europe and indeed North America, decidedly don’t agree. Hugo Chavez’s analysis seems to focus primarily, indeed exclusively, on the fact that the United States and western Europe have been issuing threats and condemnations of the Gaddafi regime. Gaddafi, Chavez and some others insist that the Western world wishes to invade Libya and “steal” Libya’s oil. The whole analysis misses entirely what has been happening, and reflects badly on Chavez’s judgment – and indeed on his reputation with the rest of the world left. February 13, 2011 -- Several days ago I said that Hosni Mubarak’s fate was sealed and that not even Obama was able to save him. The world knows about what is happening in the Middle East. News spreads at mind-boggling speed. Politicians barely have enough time to read the dispatches arriving hour after hour. Everyone is aware of the importance of what is happening over there. After 18 days of tough struggle, the Egyptian people achieved an important objective: overthrowing the main United States ally in the heart of the Arab nations. Mubarak was oppressing and pillaging his own people, he was an enemy to the Palestinians and an accomplice of Israel, the sixth nuclear power on the planet, associated with the war-mongering NATO group. En este mes de enero, el Sindicato de Trabajadores Australianos (AWU—Australian Workers Union) escribió una carta insultante al nuevo embajador cubano en Australia, Pedro Monzón. El documento del sindicato revela la dominación ideológica que Estados Unidos mantiene sobre las partes más débiles y dóciles del movimiento sindical australiano. El embajador Monzón, llegado a Australia a finales de 2010, invitó a varios dirigentes sindicales para un intercambio. Paul Howes, como Secretario Nacional del AWU, le replicó de manera innecesariamente ofensiva: ‘Estaría encantado de aceptar su oferta de encuentro, pero, desafortunadamente, sólo podrá llevarse a cabo cuando el gobierno cubano cese la represión de los sindicatos independientes y libere los numerosos dirigentes sindicales actualmente encarcelados en su país.’ En la carta se menciona a cinco encarcelados. February 1, 2011 -- Egyptian President Hosni Mubarak’s fate is sealed, not even the support of the United States will be able to save his government. The people of Egypt are an intelligent people with a glorious history who left their mark on civilisation. “From the top of these pyramids, 40 centuries of history are looking down upon us”, Napoleon Bonaparte once said in a moment of exaltation when the revolution brought him to this extraordinary crossroads of civilisations. After World War II, Egypt was under the brilliant governance of Abdel Nasser, who together with Jawaharlal Nehru, heir of Mahatma Gandhi; Ghana's Kwame Nkrumah; and Guniea's Ahmed Sekou Toure — African leaders who together with Sukarno, then president of the recently liberated Indonesia — created the Non-Aligned Movement of Countries and advanced the struggle for independence in the former colonies. 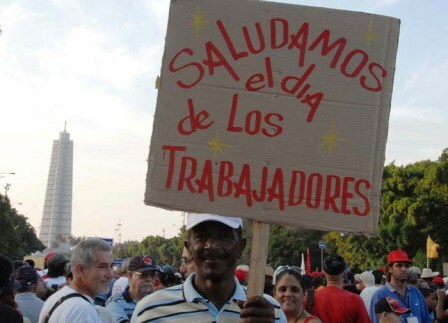 More than a million Cuban workers mobilise each year on May Day, organised by the Central de Trabajadores de Cuba trade union federation. January 26, 2011 -- This January the Australian Workers Union (AWU) wrote an insulting letter to the new Cuban ambassador to Australia, Pedro Monzón. The union’s response shows the tight ideological hold that the US has over the weaker, more compliant sections of the trade union movement in Australia. Our key findings are (i) the spread of agroecology was rapid and successful largely due to the social process methodology and social movement dynamics, (ii) farming practices evolved over time and contributed to significantly increased relative and absolute production by the peasant sector, and (iii) those practices resulted in additional benefits including resilience to climate change. Cuban workers march on May Day 2009. Photo by Bill Hackwell/Havana Times. January 15, 2011 -- Cuba's Socialist Renewal -- Alongside and intersecting with the grassroots debates on the Draft Economic and Social Policy Guidelines and the informal debate, there is a rich discussion and debate taking place among Cuban intellectuals and academic specialists from a variety of disciplines and a spectrum of political perspectives within the broad camp of the Cuban Revolution. The Cuban magazine Temas (Themes) is one publication that carries contributions to this debate among Cuba's revolutionary intelligentsia. 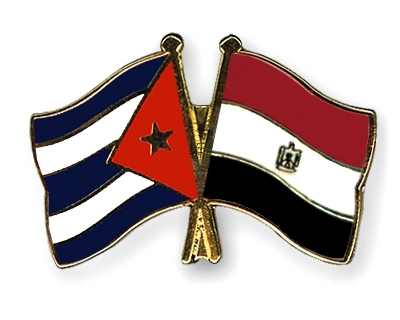 January 5, 2011 -- CADTM -- Cuba is currently faced with a crucial dilemma: either it updates, revises and reconstructs its economic model or it runs the risk of succumbing to the combined pressures created by its own errors and the aggression of the US embargo. The countries of Latin America and the Caribbean, as well as all of those in Africa and Asia, cannot remain indifferent towards this situation or limit themselves to contemplating how the revolution delivered this decisive battle without any assistance other than their own strength. Help, however, cannot be confined to verbal support, which is fine but insufficient. Cuba needs something more concrete: that its creditors, and in particular that the countries of Latin America and the Caribbean, cancel Cuba’s external debt. The Communist Party of Australia has recently published a pamphlet by David Matters entitled Putting Lenin's Clothes on Trotskyism which claims that the DSP's rejection of Trotsky's theory of permanent revolution is really a cover for its support for Trotskyism. However, the real purpose of the pamphlet is to criticise the DSP's position on the 1998 waterfront dispute. The attack on Marxism in the name of Marx, or on Lenin in the name of Lenin, is a particularly pernicious form which can easily mislead those who are not familiar with what Marx, Engels and Lenin actually said and wrote. The pretension that Trotsky was a great Leninist is one of these misrepresentations and was refuted time and again by Lenin. 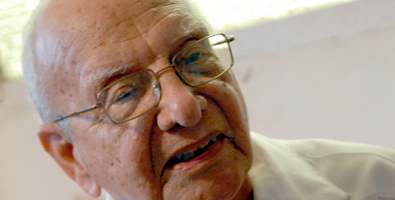 Why does health care in Cuba cost 96% less than in the US? Claudia Lopez, an intern, with outpatients at 5 de Septiembre Polyclinic, Havana. Photo by Gail Reed/World Health Organisation. January 5, 2011-- Links International Journal of Socialist Renewal -- When Americans spend $100 on health care, is it possible that only $4 goes to keeping them well and $96 goes somewhere else? Single payer health care [government-funded universal health insurance] advocates compare US health care to that in Western Europe or Canada and come up with figures of 20–30% waste in the US. But there is one country with very low level of economic activity yet with a level of health care equal to the West: Cuba. 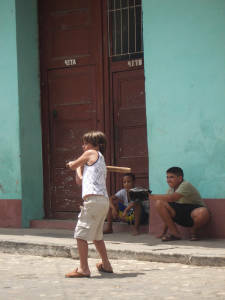 Life expectancy of about 78 years of age in Cuba is equivalent to the US. Yet, in 2005, Cuba was spending US$193 per person on health care, only 4% of the $4540 being spent in the US. Where could the other 96% of US health care dollars be going? December 26, 2010 -- The Independent -- They are the real heroes of the Haitian earthquake disaster, the human catastrophe on America's doorstep which Barack Obama pledged a monumental US humanitarian mission to alleviate. Except these heroes are from [the United States'] arch-enemy Cuba, whose doctors and nurses have put US efforts to shame. A medical brigade of 1200 Cubans is operating all over earthquake-torn and cholera-infected Haiti, as part of Fidel Castro's international medical mission which has won the socialist state many friends, but little international recognition. September 25, 2010 -- janefranklin.info -- On September 19, 1960, Fidel Castro and Malcolm X had an historic meeting in Harlem’s Hotel Theresa. Fifty years later people packed a meeting hall in the Adam Clayton Powell State Office Building across 125th Street to commemorate that meeting. 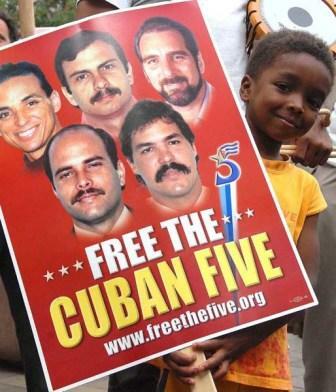 Among them were Cuban Foreign Minister Bruno Rodríguez Parrilla and Cuban ambassador to the United Nations Pedro Núñez Mosquera. What a different kind of commemoration we could have had if such important leaders as Malcolm X, Patrice Lumumba, Martin Luther King, Jr., Fred Hampton and countless others had not been assassinated. When Malcolm X met with Fidel Castro they talked about Prime Minister Patrice Lumumba of the Congo, a leader whose importance for Africa and all of us was globally recognised. Only five days earlier, Lumumba had been overthrown by Colonel Joseph Mobutu with the support of the CIA. Four months later Lumumba was executed. And in less than five years assassination took away the life of Malcolm X himself. Delegates at Cuba's National Assembly consider the Draft Guidelines for the Economic and Social Policy of the Party and the Revolution. Photo by Calixto N. Llanes. Below is a translation of Cuba's President Raul Castro's speech, on December 18, 2010, at the close of Cuba's National Assembly session, where the Draft Guidelines for the Economic and Social Policy of the Party and the Revolution document was debated. December 8, 2010 -- Translation by Granma International -- Powerful forces are assuring us without hesitation that climate change does not exist, that there is nothing to be concerned about and that the serious problem bringing us here today is a total fabrication. They are those in the United States Congress who are currently opposing the ratification of the weak agreements which control the proliferation of nuclear weapons, in a senseless crusade whose sole purpose is to retrieve a small part of the power that they lost barely two years ago. December 14, 2010 -- Julian Assange, a man known only to a very few in the world some months ago, is demonstrating that the most powerful empire to have existed in history can be challenged. The daring challenge did not come from a rival superpower; from a state with more than 100 nuclear weapons; from a country with millions of inhabitants; from a group of nations with vast natural resources which the United States could not do without; or from a revolutionary doctrine capable of shaking to its foundations the empire based on plunder and exploitation of the world. Translation by Marce Cameron (Australia-Cuba Friendship Society), corrections by Paul Greene. Please note that this is an unofficial translation. This English translation first appeared here and is posted at Links International Journal of Socialist Renewal with the translator's permission. This document forms the basis of a discussion about Cuba's economic reforms that is taking place throughout the country. The Spanish original is available at http://www.cubadebate.cu/wp-content/uploads/2010/11/proyecto-lineamientos-pcc.pdf. December 6, 2010 -- Democracy Now! -- Secret diplomatic cables released by WikiLeaks have revealed new details about how the United States manipulated last year’s climate talks in Copenhagen. The cables show how the United States sought dirt on nations opposed to its approach to tackling global warming, how financial and other aid was used to gain political backing, and how the United States mounted a secret global diplomatic offensive to overwhelm opposition to the [US-sponsored and -imposed] "Copenhagen Accord". We speak to Bolivia’s ambassador to the United Nations, Pablo Solón. Several of the cables addressed Bolivia’s opposition to the US-backed accord. October 7, 2010 -- Links International Journal of Socialist Renewal -- This article is intended to call attention to the most important negative consequences that the recently announced decision to permit free hiring of salaried labour could generate in Cuban society. 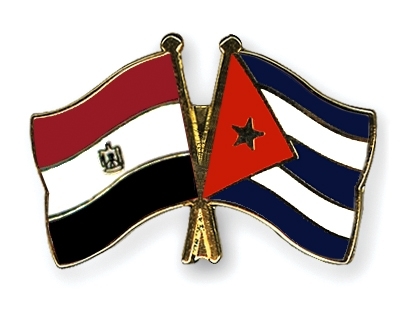 It also attempts to suggest some measures to increase the possibilities that the new non-state enterprises (self-employment, cooperatives and conventional private businesses) may contribute to the development of the Cuban economy in consolidating our socialist development; that is, the creation of a more just and humane society. It is a synthesis drawn from the paper “New enterprise forms in the Cuban economy”, prepared for the seminar “Economy and administration” organised by the Economics Department of the University of Havana and Humboldt University, Berlin, September 24-25, 2010. Photo by Steve Morgan/Havana Times. Links International Journal of Socialist Renewal is posting Ron Ridenour's critical analysis of the proposed economic changes in Cuba, with Ridenour's permission, to reflect as many perspectives of friends of the Cuban Revolution as possible, and to inform the discussion among them. For more analysis, click HERE. November 30, 2010 — Havana Times — With the November 2010 publication of 291 proposals for reforms in 12 areas of economic and social life Cubans are once again faced with a national debate on policies. A key question is if the 800,000 Communist Party (PCC) members’ discussion, plus that of non-members, will affect the policies to be taken at the forthcoming PCC VI congress, in April 2011. There is no proposed mechanism to assure such in the 32-page document.